Washington warned of Hyper-partisanship, Excessive debt and Foreign influence in our elections. Except for stressing the revolutionary credentials of his subjjects Ferling (Emeritus, History/Univ. of West Georgia; delivers solid, conventional biographies All three men supported rule of the common man, but only Paine hated slavery and the seizure of Indian lands and never had much money. His attacks on George Washington and organized religion made it so he was never considered him a true Founding Father. Members of the Virginia aristocracy, Jefferson and Monroe opposed slavery in theory but treated their own slaves poorly. Jefferson proclaimed an ideal nation consists of small, independent farmers whose representatives would rule with a light hand. What he meant was elect responsible gentry like himself who knew how to govern large groups of citizens. 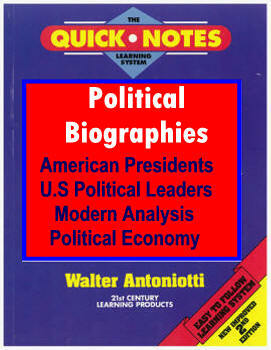 He was most unhappy when the electorate turned to crude, less-educated types more to their taste—e.g., Andrew Jackson. Readers will find Monroe's biography illuminating. 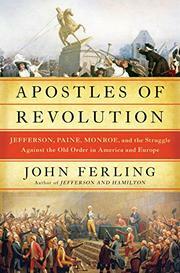 A younger Ferling believed that revolutionaries were cool and that traditional elitists like Washington and Adams lacked a je ne sais quoi. He has matured though a trace remains in this excellently opinionated history. Another winner of early American history from a renowned practitioner.